Call me – For the fainthearted . . . Telephones seem far more prevalent in period drama than they were in reality. A telephone was a serious object, it had a gravitas not accorded to most inanimate objects. Perhaps telephones did not cost a great deal in cash terms, but in times when most people had little cash to spare, even a modest sum was out of the question. There was only one telephone on our road, a neighbour had a lorry and relied upon the phone for orders for his haulage service. It was acceptable to call at the house to ask for the use of the telephone if there were some pressing need, like a need to call the doctor or to contact far off family members for news regarding the illness of someone; calls were brief and matter of fact, there would have been little opportunity for casual conversation. Without a telephone in the house, calls that were anything but urgent would have been made from the box on the village green, with a supply of copper coins. Buttons A or B would need to be pressed and there were calls that needed to be connected via the operator. Standard trunk dialling and phone boxes that asked no more of a caller than they insert coins seemed a great advance. There was no need for anyone to know the number was calling and there was no operator listening in or awaiting the opportunity to tell one that one’s three minutes were up. No-one now would contemplate spending so much money on telephone calls, but the chance to exhaust a pile of ten pence pieces seemed a liberating experience at the time. In retrospect, the thing that seems odd is that if telephones on hall stands were not nearly as plentiful as they are on television programmes, then how did people call each other from telephone boxes? 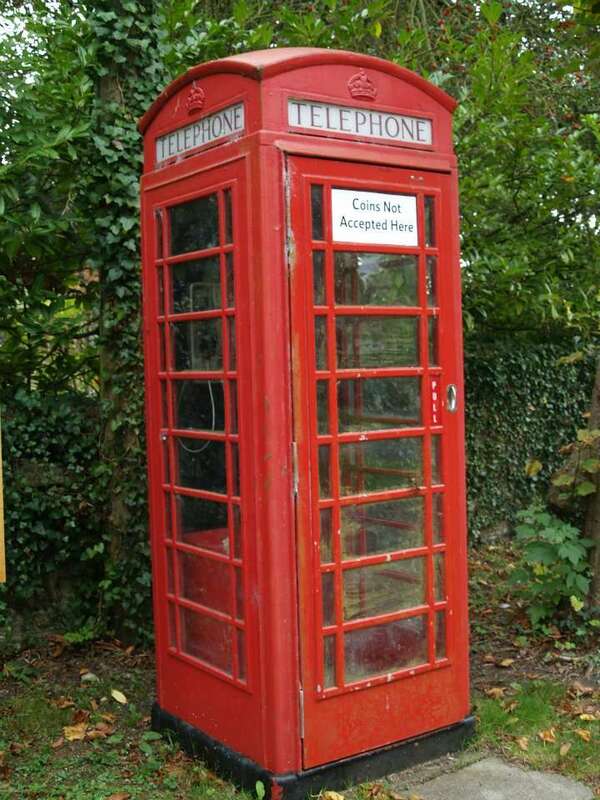 Were there arrangements that one would call a number at the same time each week in expectation that the person one was calling would be in the box in their street or village? 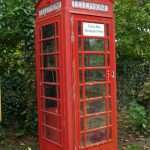 Did telephone calls demand having written letters to arrange there taking place?However calls happened, they took place and the old Ted phone boxes have retained a place in the affections. 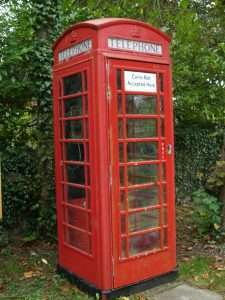 Sometimes, just for the odd experience of doing so, I still dial the phone box on High Ham village green in the vain hope that someone might answer. 01458 250760 is the number to reconnect with a telecommunications world rapidly disappearing.